Home / Blog / How to be the Perfect Host in Just One Easy Step! So you’re renting out your place on Airbnb and you’re quickly realizing that playing host isn’t the easiest thing in the world. You feel like you always need to be on call to answer your guests’ questions. How do I get the TV to work with the DVD player? Where should I throw out the garbage? How do I use your fancy coffee maker? Well, we’ve found the perfect solution for you. 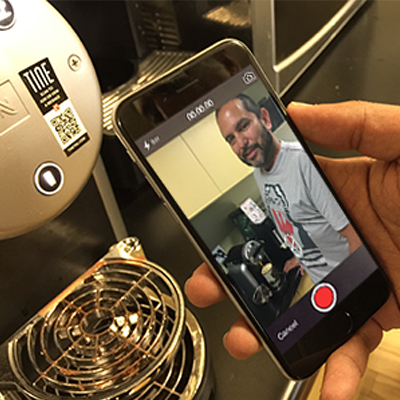 It’s called TINE and it lets you leave video instructions around your house for you guests. With TINE it will always feel like you’re there to help, even when you’re not. Here is how TINE works. 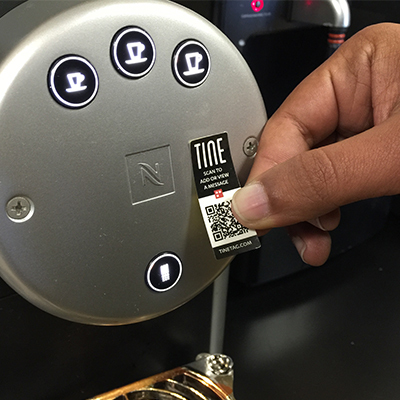 When someone scans your TINE tag, they’ll see your message and you’ll get notified in the app. Use TINE to leave important instructions like how to work the TV, what the Wi-Fi password is or how to set the thermostat. You could even go as far as taking a map of the city, sticking TINE tags on the different places and bars that they can go to and providing them with crucial information. Did we mention that both the tags and the app are completely free? TINE has been getting quite a bit of press lately, so we suggest downloading the app and ordering tags before they setup a waitlist. 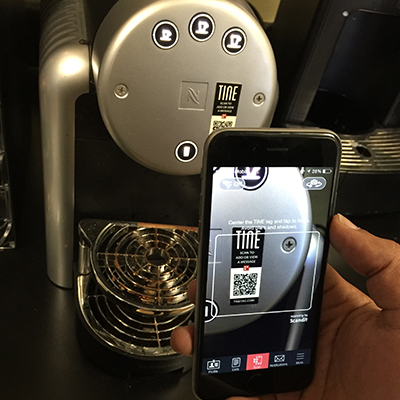 TINE is available for both iPhone and Android. Get your free tags now and start sticking!